For years, people have been walking into furniture stores and looking for recliners that don’t look like recliners. And now we’re excited to have an option that fits your needs. Recliners are a comfy retreat where you can put your feet up and relax after a long day. Plus, they have many health benefits you can take advantage of. In the past, recliners were bulky pieces of furniture that clashed with modern style. Thankfully, you no longer have to choose between style and comfort when shopping for furniture. Duo by La-Z-Boy combines modern style and design with the classic comfort that makes recliners famous. Stationary (adj. ): not moving or not intended to be moved. Stationary furniture has become popular because it has a clean, modern, and simple look. On the other hand, reclining furniture has the ability to recline your back and elevate your feet. Recliners used to be bulky pieces of furniture because they had to contain a reclining mechanism, springs, and all sorts of nuts and bolts. 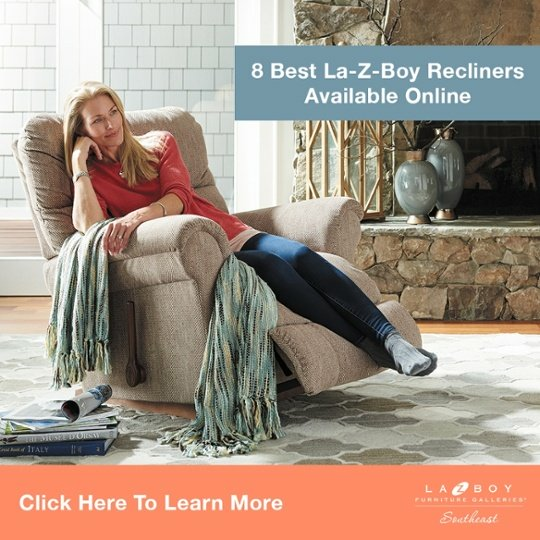 After years of product development, La-Z-Boy fit an electronic reclining mechanism into a smaller area and dramatically improved the look of reclining furniture. You’ll notice Duo by La-Z-Boy has the same modern look and feel of stationary furniture. However, if you take a closer look you’ll find two small electronic buttons that allow you to recline. This is how La-Z-Boy combined stationary and reclining furniture with their Duo product line. While shopping for furniture, couples often find themselves in disagreement because one is interested in comfort and the other is interested in style. Now, couples can get the best of both worlds with Duo by La-Z-Boy. You can watch Brooke Shields restore peace to a divided living room in the video below. Why choose between style and comfort when you can have both? Duo by La-Z-Boy was built with everyone’s furniture needs in mind. At the end of the day, your batteries aren’t the only ones that are drained. There’s no need to pull out an extension cord to charge your phone while you relax in a Duo by La-Z-Boy. Each sofa, chair, and loveseat comes with a USB port on the side where your reclining buttons are located. The power for the USB port comes from the wall socket your chair is plugged in to. Or the rechargeable battery pack discreetly hidden underneath to keep the look clean. This rechargeable battery pack can cycle your recliner up and down 50 times before it needs to be recharged. At first glance, all you’ll see is clean lines and sophistication when you look at these new styles from La-Z-Boy. Each of these styles comes in a reclining chair, loveseat, and sofa. And Edie is the first style to offer a reclining sectional. You can take a look at all of these styles in the pictures below. Luke has sloped arms and a button-tufted back to give this style a mid-century modern flair. Makenna has a modern edge with clean lines, dipped track arms, welt detail, and rich wood legs. Edie has a simple, refined design most comfort-seekers will find pleasing. Bennett has rolled cigar arms and a subtly scalloped back you might consider more polished than relaxed. Duo by La-Z-Boy comes in hundreds of customizable covers including leather and iClean stain-resistant fabric. If you would like some help furnishing your home, you can consult with a degreed interior designer for free at La-Z-Boy Southeast. Their team has completed thousands of interior design projects and they can show you how to style your room with Duo by La-Z-Boy. 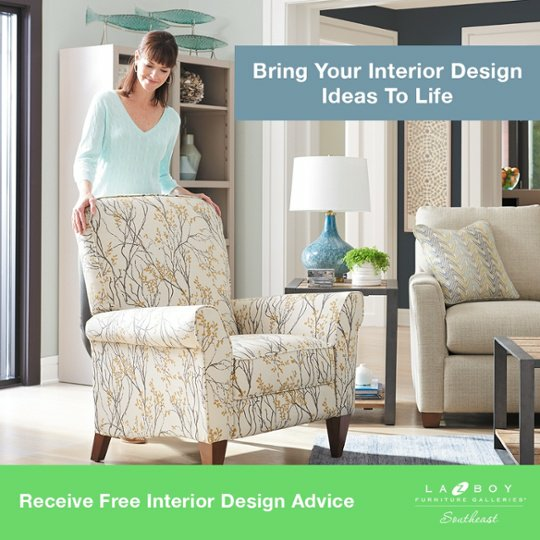 Does La-Z-Boy Really Offer Free Interior Design Services? 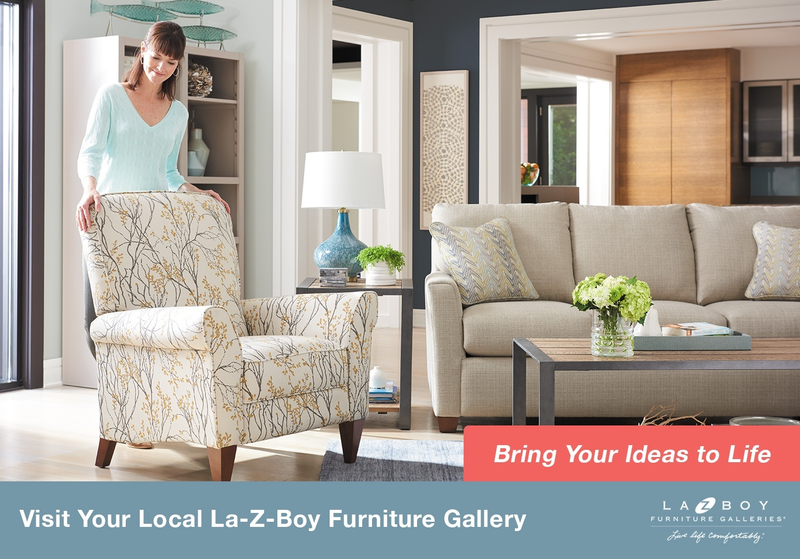 At La-Z-Boy Southeast, they’d be happy to guide you through the process of furnishing your home at any of our locations in NC, SC, or GA.